I’ve thought for a long time that as our manufacturing sector was moved out of the country to take advantage of lower wages, the inevitable result would be a huge loss of jobs – ones that could not be replaced by “high value” white collar-type jobs. And it would lead to lower domestic wages, in order to compete. But wages could never be low enough because the standard of living would keep workers below the poverty line. The result: two classes – those who could afford and those who couldn’t. Actually, there would be a small financial ruling class, kind of the way things are pointing now. And with such a large number of people out of work, working below the poverty level, living off government benefits, sooner or later there will be revolt. 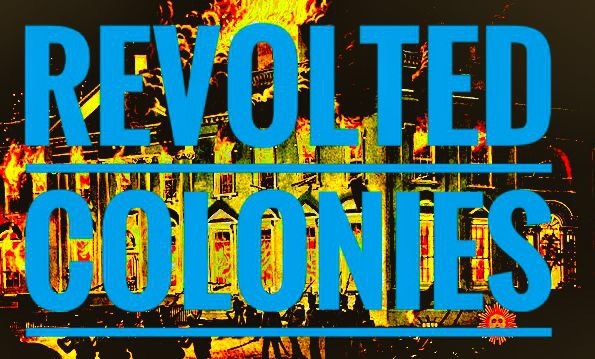 Not colonial revolt, because the founders were all comfortable. There will be an economic revolt when there’s nothing left to lose. You can look it up. This is not a new idea. James Goldsmith, himself a billionaire, blew the lid on this in 1993 in a book called “The Trap.” In 1992, Ross Perot saw it coming, with that feisty Martian brain of his. You could hear the wisdom in his words, but how could you possibly vote for him? I thought, well, if our workers are losing, workers overseas will prosper, making our wages more competitive again. Maybe but it won’t have the kind of impact to restore jobs to what they were in the best of times. There’s always going to be somebody to do it a little cheaper. It’s the global, financial ruling class that will thrive. Goldsmith had another thought, and he saw it clearly. Regions, like Europe, or Asia or North America, or maybe just the US, would have to create preferential zones. It’s not a new idea. Europe did have the Common Market. But mostly these are seen as trade barriers, and free trade is the orthodoxy of economic theory. But it’s not really free, because within the system, countries can rig their currencies; their labor laws; their human rights standards to keep their costs lower. Australian billionaire, Gina Rinehart, can scold her countrymen for not being willing to work for the wages a South African would accept. No skin off her wallaby. So, back to Goldsmith. There do need to be trade preferences – which still look like barriers to me – to protect one’s own economic unit. And, by the way, our farmers are really missing the Mexican seasonal workers. I say that just to suggest who is and is not in our own economic unit. Neither of the two parties will own up to this, for different reasons, and no conventional politician will broach this subject. On the one hand, that politician would never stay in office. On the other, he or she may be shot on the way to work. If there is a real answer to our struggling economy, it is borne in the wisdom of Goldsmith, which means, in effect, we have to circle the wagons, protect our own jobs, create our own trade preferences and hope that we can make our economy secure and our politics rational. It’s kind of what I was thinking.